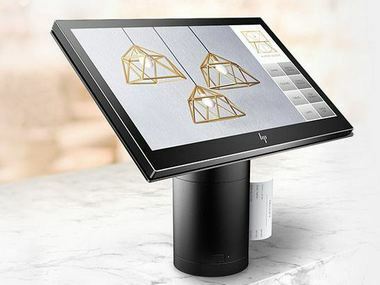 HP Inc India on 19 September unveiled its innovative, all-in-one point-of-sale (POS) system HP ElitePOS with secure and enhanced performance capabilities at the "India Retail Forum 2017" event in Mumbai. The POS system will be available at any HP authorised partner at a starting price of Rs 59,999 from 15 October. "ElitePOS" features a modular design, supporting several use cases apart from payment and checkout such as interactive signage, employee attendance and self-service applications like a customer check-in.